An advocate and a counselor. Mike Cross understands he has two roles in every case. Whether it is a business dispute, construction litigation, or an insurance coverage claim, Mike zealously advocates for his clients while counseling them regarding the financial impact of litigation. Mike understands the effect litigation can have on a company and works with his clients to create an aggressive litigation strategy based on the client’s specific needs while always remaining cognizant of the bottom line. Mike also represents those who have been harmed by the negligence of others. Mike specializes in difficult cases, obtaining sizeable recoveries for clients who sustained devastating injuries resulting from uniquely dangerous conditions. Mike’s clients include those who have been harmed by medical device and drug manufacturers who profit from knowingly dangerous products and pharmaceuticals. When a chain of dental clinics placed profits above the welfare of its patients, Mike was part of the team of litigators who obtained in excess of $40 million for over two thousand children who were forced to undergo unnecessary and improper dental procedures. When a maintenance worker left a malfunctioning industrial garage door unattended, Mike obtained a large recovery for the child who sustained severe injuries as a result of the dangerous condition. When a construction company failed to warn motorists of a dangerous lane drop-off, Mike obtained a large settlement for his client who was severely injured in a single vehicle accident. When an unleashed dog caused a cyclist to lose control of her bike, Mike successfully invoked and exhausted the dog owner’s insurance coverage resulting in sizeable recovery for his client. When project owners and general contractors improperly diverted construction proceeds, Mike has represented numerous construction companies to obtain payment for the work they performed, often obtaining judgments for three times the amount of the original claim and attorney fees pursuant to the Contractor’s Trust Fund Statute. When defending a business entity against allegations of theft of trade secrets, Mike ended the five-day trial by obtaining dismissal of all claims on the morning of the first day. Mike attended Purdue University where he majored in Business Management with a minor in finance. After college, Mike attended Indiana University School of Law – Indianapolis, receiving his juris doctor degree in 2006. Because he always wanted to live in Colorado, Mike transferred to The University of Denver School of Law for his final semester of law school and he has made his home in Colorado since. 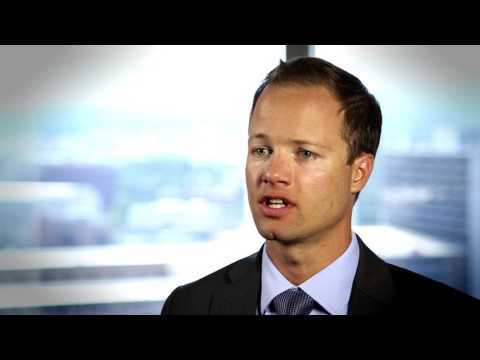 Mike began his career practicing class action and insurance bad faith litigation in Colorado Springs. He joined the firm of Ogborn Summerlin & Ogborn, LLC in 2009 and he joined Ogborn Mihm, LLP at its found in 2012. Mike is an active member of the American Association of Justice and the Colorado Trial Lawyers Association, organizations committed to the protection and advancement of individual rights. Mike is also an active member of the American Subcontractors Association and the Associated General Contractors of America. Mike and his wife, Ali, spend their time chasing their daughter, Maylin. Mike used to be an avid skier, angler, and golfer. Click here to view Mike’s blawg “Constructing Solutions,” which provides updates and analysis of legal issues facing the Colorado construction industry. Before becoming a lawyer, Mike worked for Attlin Construction in Muncie, Indiana as a construction worker building warehouses. Mike learned the trade first-hand, from swinging a hammer, to pouring concrete. Construction has always been near-and-dear to his heart and Habitat for Humanity is one way he can put his non-lawyer skills to work in the community.